We like the concept of the value equivalence line. 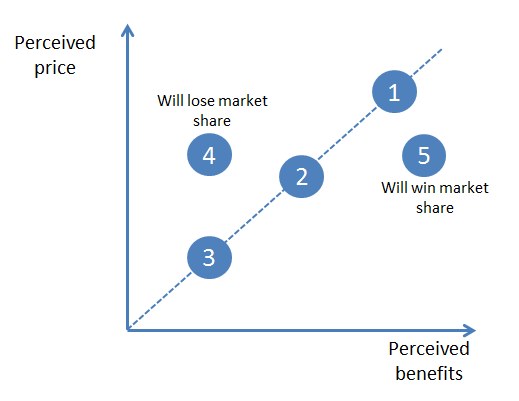 When somebody buys something, there is a natural balance between the price they pay and the perceived benefits they get. Think about cars. Mercedes may be perceived to be expensive but the people who buy them believe that they are worth it. Skoda cars cost much less and equally, you get a different level of benefits compared to other brands. All cars can be plotted on the graph and over time, each will gravitate towards the value equivalence line. A car that is positioned on the right-hand side of the line will be considered a bargain and will grow its market share. A car positioned on the left-hand side of the line will be set to lose market share. Now think about a new entry to the UK car market. 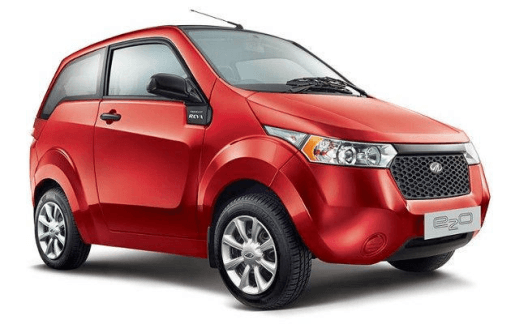 The Mahindra e20 has just been launched in the UK. It is a small electric car with a top speed of 63 mph. The good news is that it can be recharged anywhere with a three pin plug and without special adapters. The bad news is that it has a limit of 79 miles before it needs recharging. It has a price in the UK of £17,495 before a government subsidy of £4,500. In other words, a net price of £13,000. Where do you think it will fit on the value equivalence line? Who is advising this company on its pricing policy?